It is one of the important processes in oil and gas industry. If you are driller or drilling engineer you must have enough knowledge to solve errors or other problems during drilling. The main purpose of this book is to explain and introduce the basics of drilling. In the course outline of Petroleum Engineering drilling engineering is a major subject. Boreholes problems are discussed in great details. The introduction to the principles and some necessary procedures in drilling engineering are explained in good details. Plus point about this book is that all chapters contain a theoretical introduction, as well as examples and exercises. You can understand it quickly. You can download this book free from our website. Click on download option at the end of this article. References for further readings are given at the end of this book. Necessaryequations and procedures to solve the exercises are presented throughout in this book. All the important text related to drilling are used in this book. 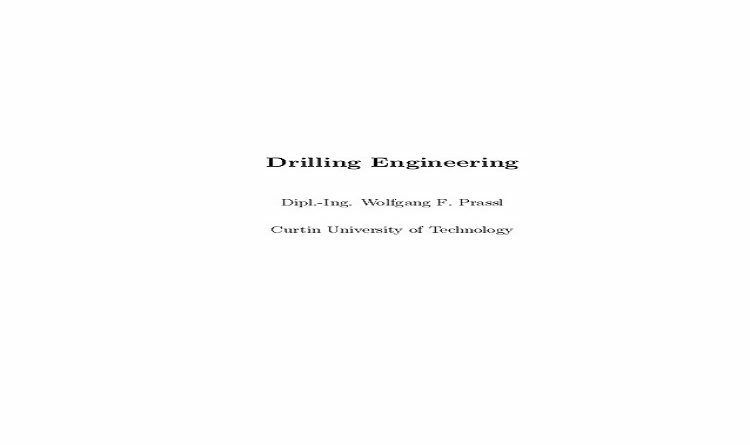 A Recommended book in the course outline drilling engineering. The PDF file is attached, you can download it free from here.